Maybe It’s The World That’s Mad. Artlink Hull and Mad Pride Hull have collaborated to create a programme of workshops and exhibition called ‘Maybe It’s theWorld That’s Mad’. The project explores the idea of a community that talks about mental health and celebrates our differences rather than stigmatising them. We ask the audience to consider the madness of today’s world, its systems, structures, and imposed stress that affect our mental well-being, and to reflect on how this might be different. The exhibition includes an interactive sculpture and fabric banners made in public workshops preceding the exhibition, as well as a Chaos Office, in which the participants can break free from the constraints of acceptable office behaviour, turn bureaucracy on its head and create their own ‘mad’ systems and structures. We aim to shift the power dynamics around mental health by using art as a tool to communicate things that are hard to express, and by listening to the voices of those with lived experience of mental health challenges. 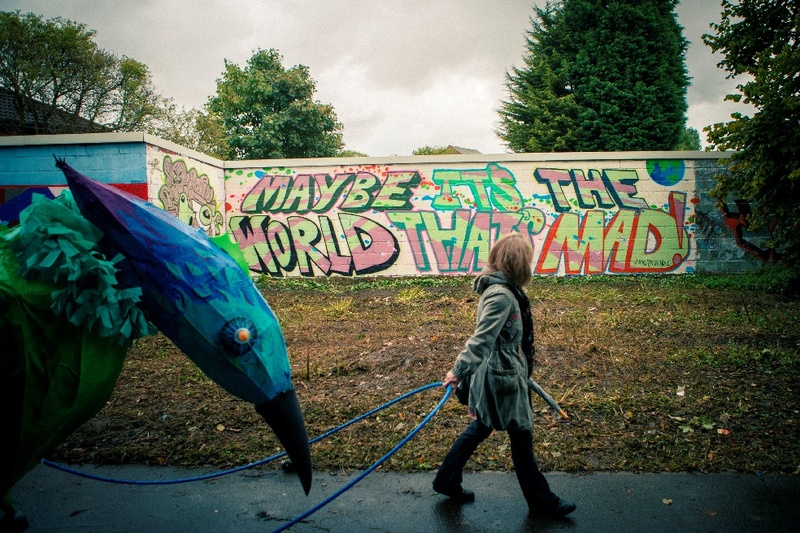 ‘Maybe It’s the World That’s Mad’ features the work of artists Mathias Tornvig, Ella Dorton, Lilly Williams and Mike Sprout, poet and activist Sam Donaldson, and young people from HeadStart Hull. Exhibition Dates: 6th October – 23rd November, Artlink Hull. Be the first to comment on "Maybe It’s The World That’s Mad."